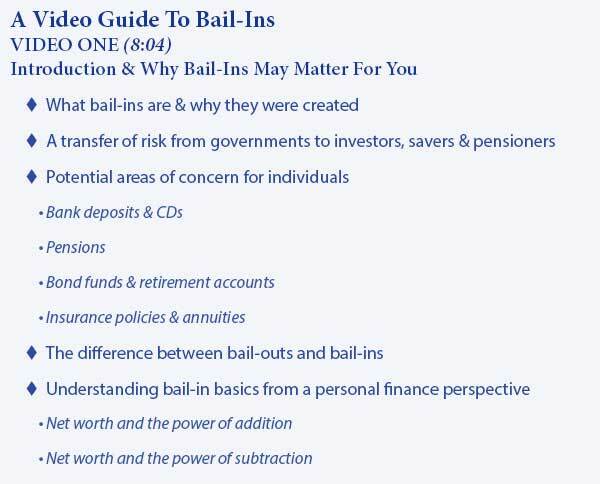 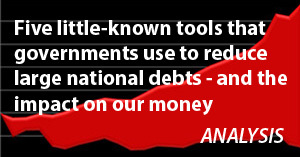 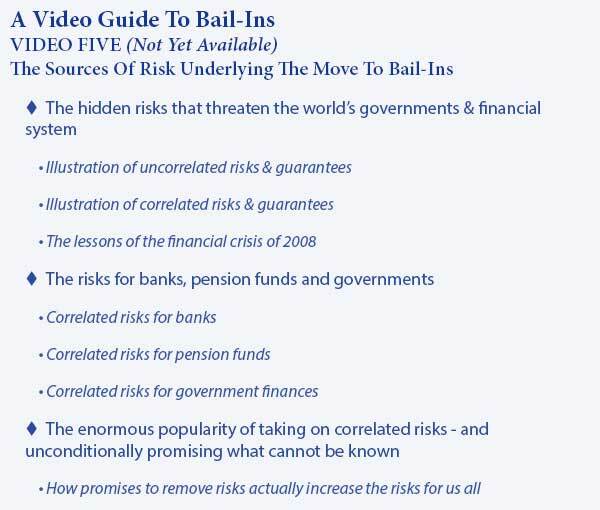 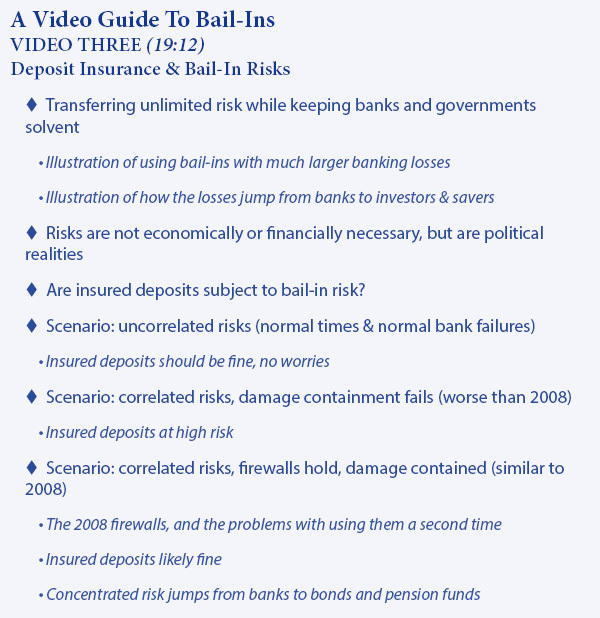 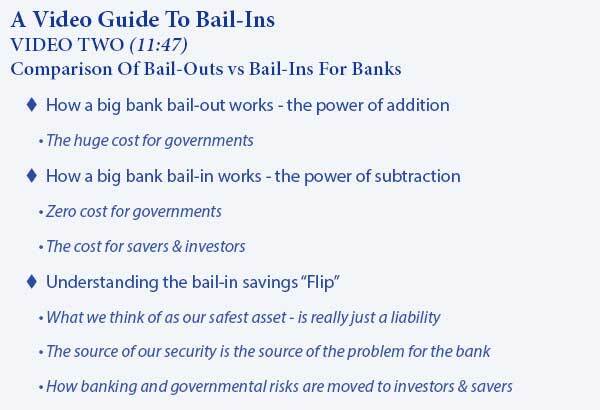 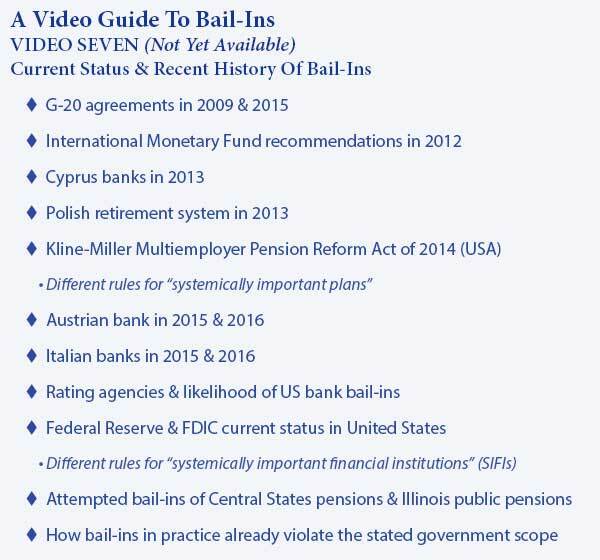 This is a series of financial education videos which explore "bail-ins", a recent financial development which is changing the rules on a global basis as risk is transferred from governments to investors, savers and pensioners. 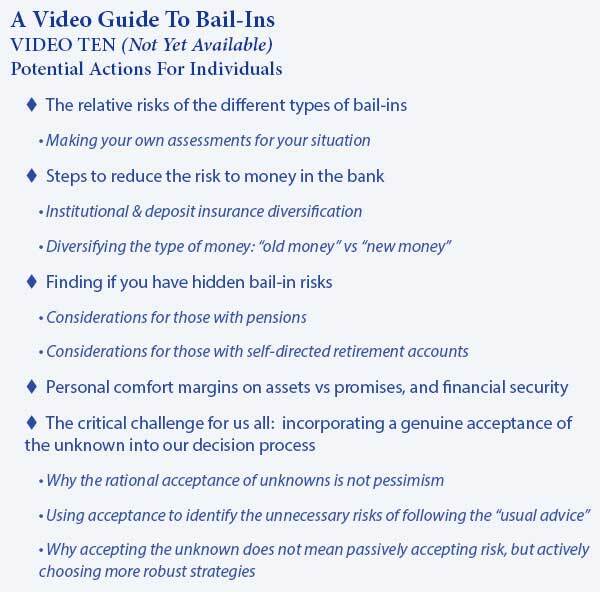 The videos and topic outlines for each video are below. 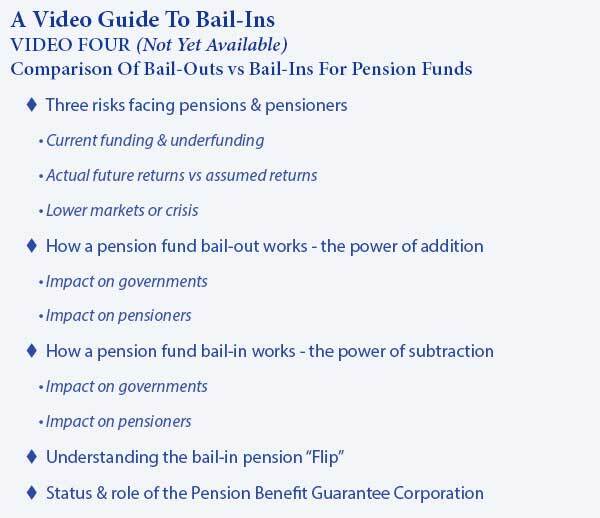 The transcript for each video is linked below the video, and a list of other videos can be found here. 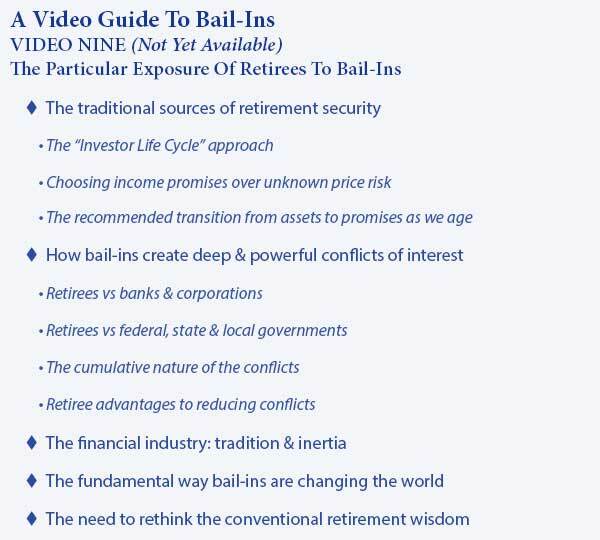 Below are the topic outlines for the remaining videos in the series, which have yet to be released. 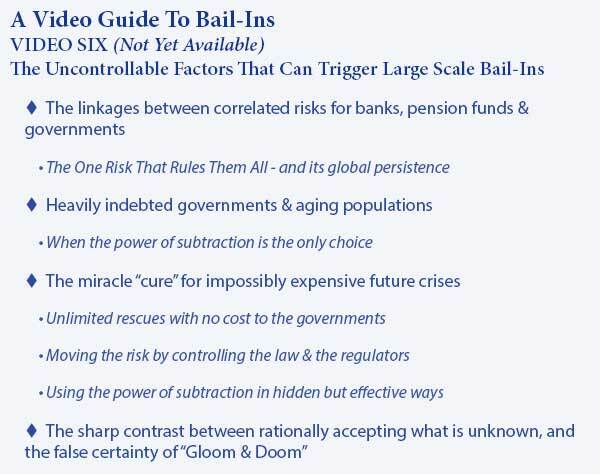 All are subject to change. 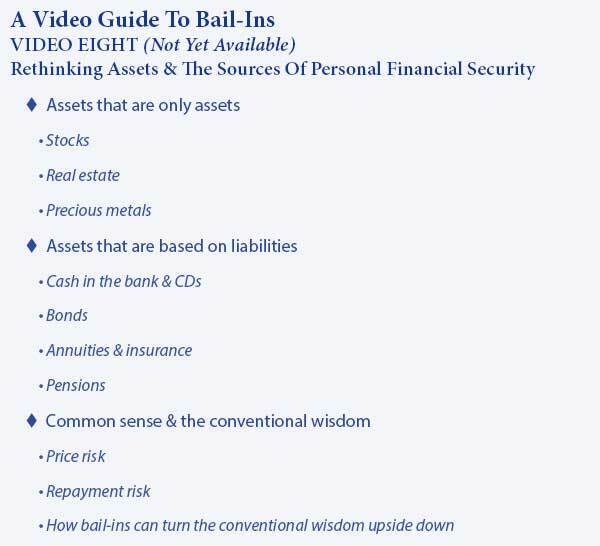 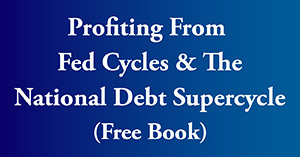 What you have just seen is an "eye-opener" about how everything changes when we take a holistic look at the future, and consider how financial planning can be changed by including the effects of a heavily indebted government and aging society. 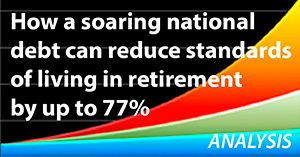 A routine retirement planning mistake can be found when we look at the way most retirement calculators treat the decision about what age to begin collecting Social Security benefits. 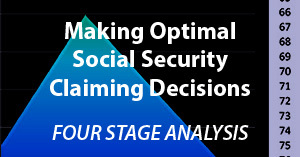 Seemingly precise and authoritative calculations are made based on scheduled benefits – but even the government says the scheduled benefits will likely not be paid in full. 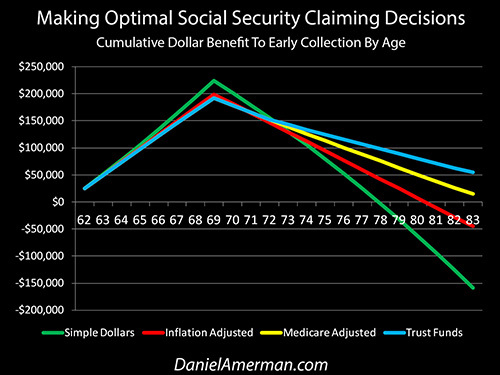 When we take a holistic look which includes the depletion of the Trust Funds, as well as inflation and the linkage with Medicare premiums, then the decision on what age to begin collecting Social Security can turn upside down, as explored here. 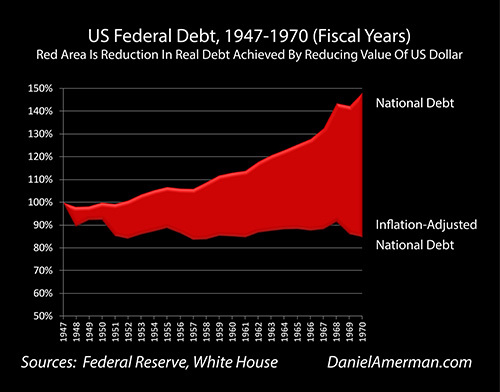 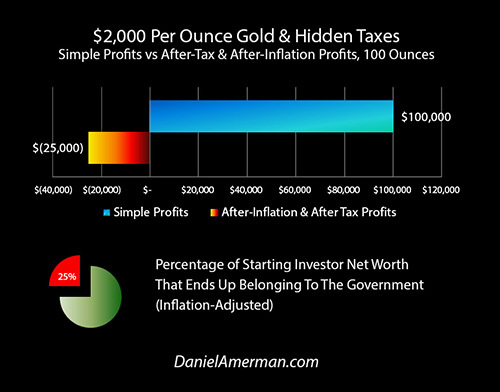 Another "eye-opener" tutorial is linked here, and it shows a quite different redistribution of wealth, which is how governments use inflation and the tax code to take wealth from unsuspecting precious metals investors, so that the higher inflation goes, and the higher precious metals prices climb - the more of the investor's net worth ends up with the government.